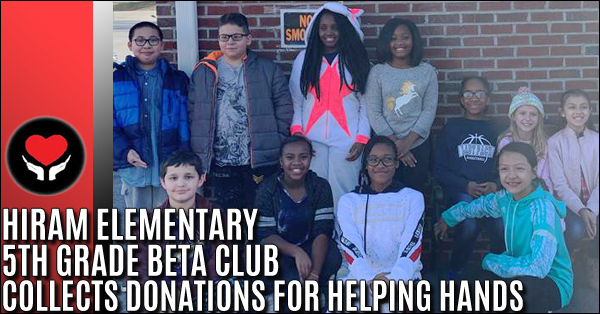 The Hiram Elementary School 5th grade Beta Club members are definitely feeling the spirit of giving this holiday season. They decided they wanted to help a local organization, Helping Hands, with items they may need to help those in need. 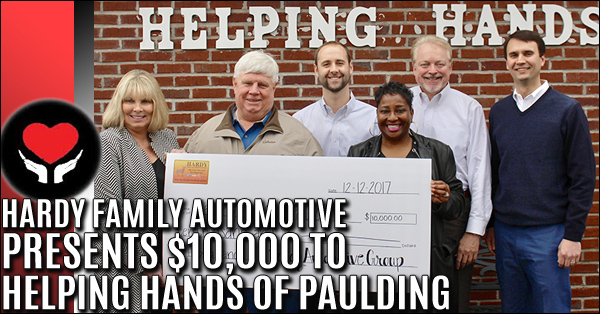 Hardy Family Automotive Group graciously matched Helping Hands of Paulding's donations (up to $10,000) for the entire month of November. 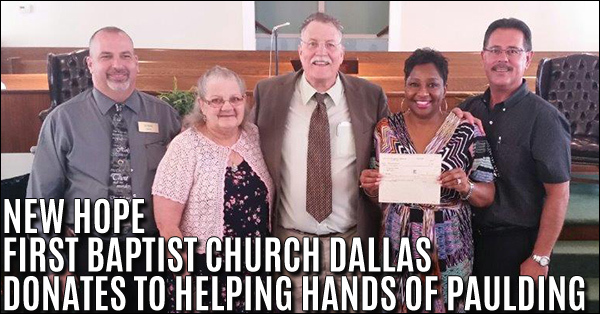 This essentially gave Helping Hands more bang for their fundraising buck by receiving two donations instead of one. 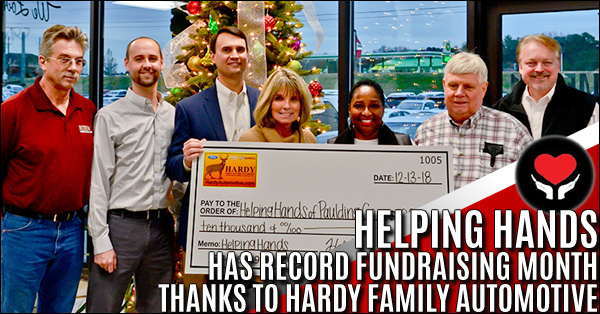 The marketing staff also assisted the charitable organization by creating a custom page on the Hardy Automotive website specifically for them. Thanks to this, Helping Hands was able to generate more interest and awareness for this fundraising opportunity. 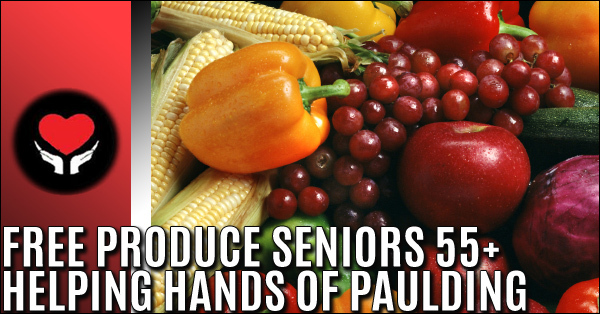 Free Produce for Seniors 55+ - It’s that time of month again! We are giving away FREE fruits and vegetables to seniors age 55+ on Tuesday, August 15, 2017! 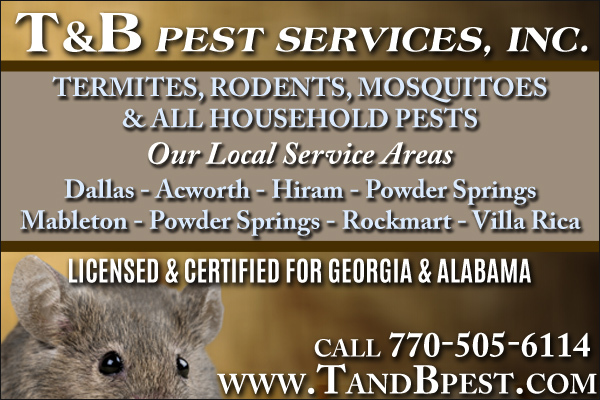 They do NOT have to be clients of Helping Hands or residents of Paulding County. 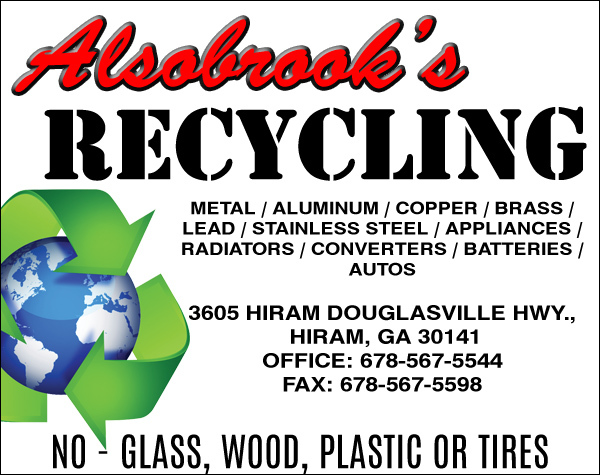 This year Helping Hands of Paulding County was the recipient of $709.00. This money will be used to purchase much needed food to assist local citizens in need. We love stories about our youth helping others. 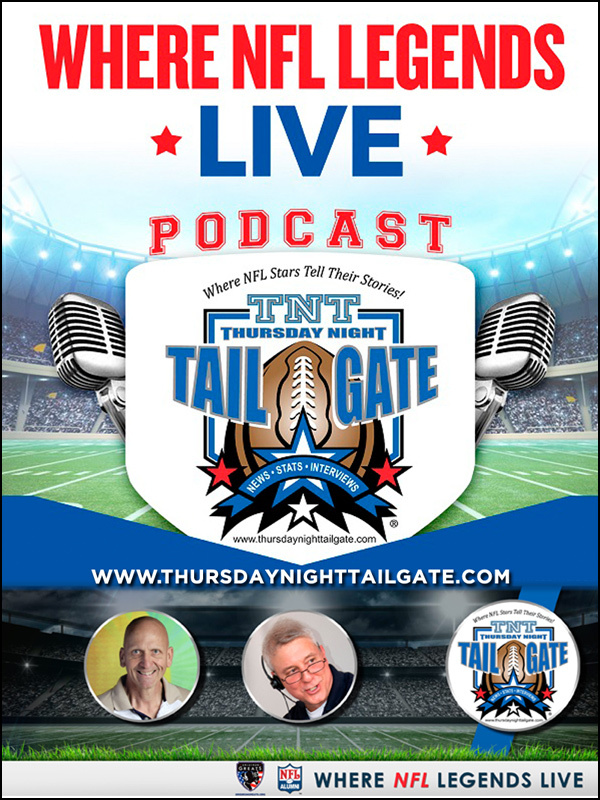 This story begins with Thomas, a young man with Fragile X syndrome. FX is sort of like autism, and causes cognitive and learning disabilities. 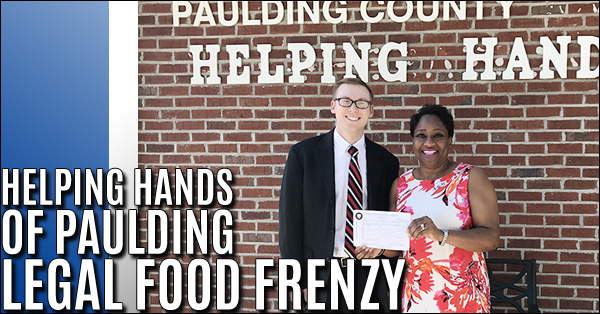 From April 17-28, 2017, the Paulding County Bar Association (PCBA) partnered with the Atlanta Community Food Bank (ACFB) to host the Legal Food Frenzy, which is a food and fund drive. 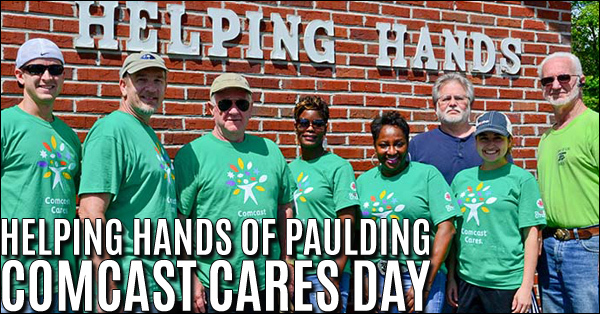 Comcast Cares Day is a celebration of Comcast’s year-round commitment to service in their communities and it has selected Helping Hands of Paulding County, Inc. was one of several non-profit partners selected for improvement. 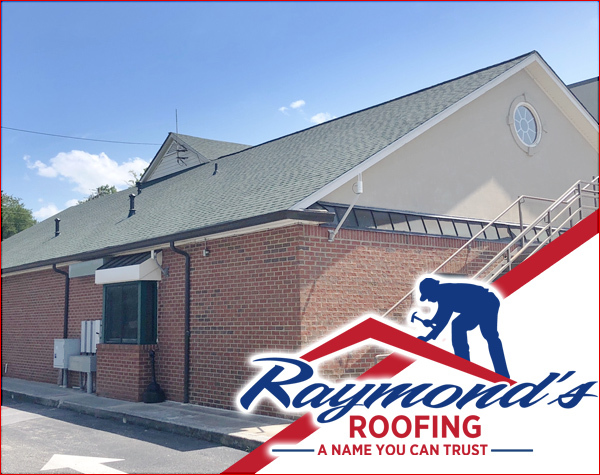 BIG Thank you to Allstate and Travis Miller for the Allstate Foundation Helping Hands in the Community Grant awarded to Helping Hands of Paulding County, Inc. 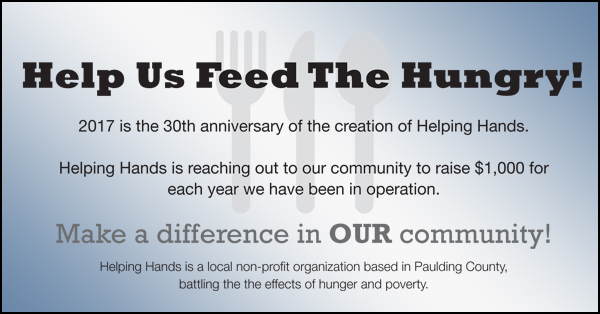 Helping Hands of Paulding County: Help Us Feed The Hungry! 2017 is the 30th anniversary of the creation of Helping Hands. Helping Hands is reaching out to our community to raise $1,000 for each year we have been in operation. 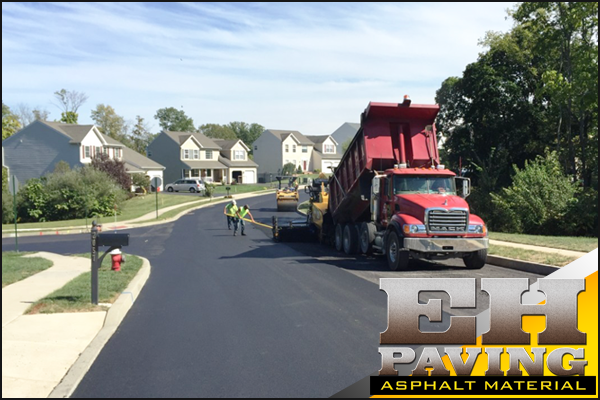 Make a difference in OUR community! 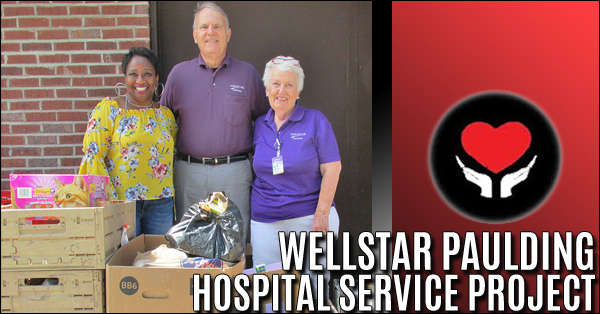 Helping Hands is a local non-profit organization based in Paulding County, battling the the effects of hunger and poverty. 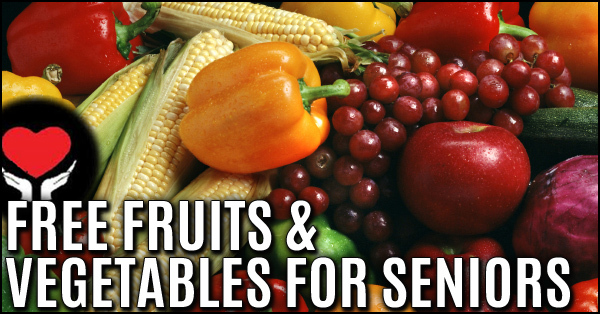 FREE fruits and vegetables to seniors age 55+ on Tuesday, December 20, 2016. 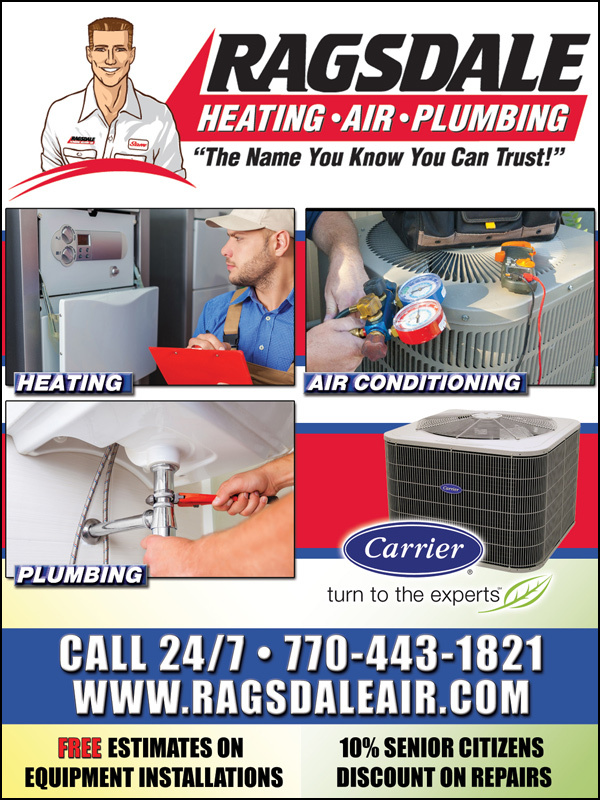 Located at Helping Hands of Paulding County. 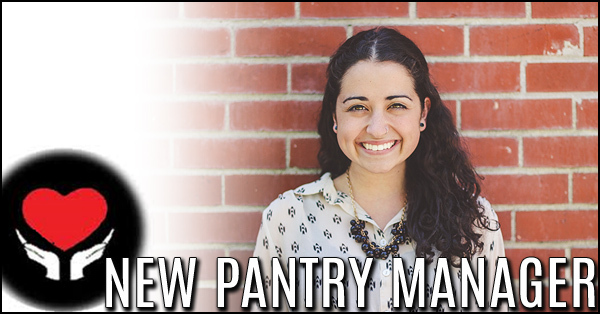 Helping Hands is pleased to announce the selection of our new Pantry Manager, Megan Marshall. 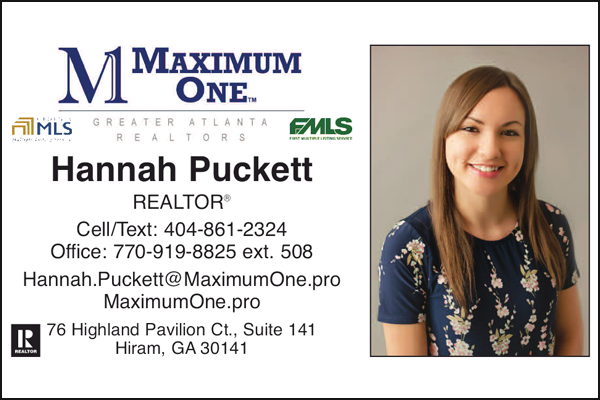 Megan is 22 years old and is originally from Paulding County. She graduated from Toccoa Falls College in December 2015 with a degree in Ministry Leadership.